October is Manufacturing Month, so this month’s Palace City Profile features a resident who has chosen a career in manufacturing. Brent and Mollie Greenway each grew up on farms near small towns, and now they’ve found their home in Mitchell. Brent’s family farm is near Mount Vernon. After he earned his degree from South Dakota State University in agricultural and biosystems engineering, he began his career in Jackson, Minnesota. After meeting the woman he’d eventually marry, getting back to South Dakota and the Mitchell area became a priority. “For a while, I commuted 82 miles one way every day,” he said. 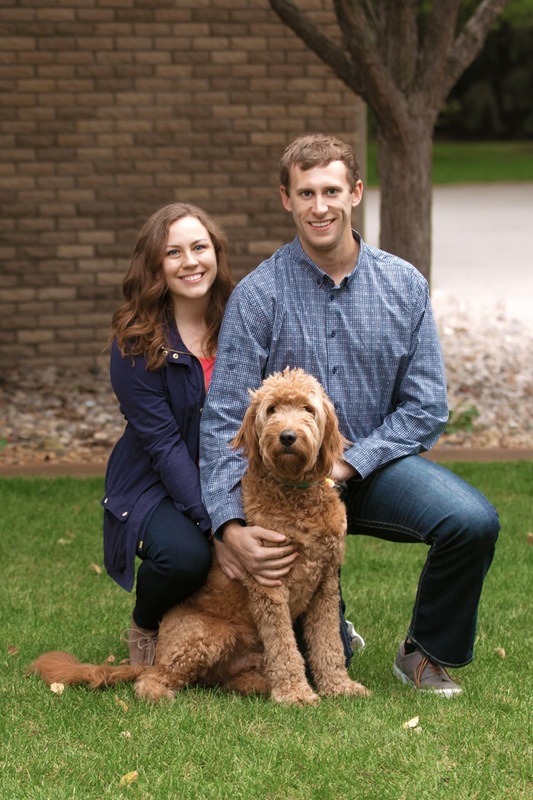 His fiancé, Mollie, was working in dietetics in the Sioux Falls area, and they lived in Brandon. Now, Mollie is a self-employed dietitian consultant based in Mitchell, and she travels several days a week to nursing homes in the region. The Langford native appreciates the flexibility of being self-employed. Brent has been at Trail King Industries for a little more than three years. He is the manufacturing engineering site lead, which means he is the liaison between the design engineers and the production floor. Brent says he enjoys interacting with both sides of the workflow and he likes coming up with solutions to problems. “I like that what I do can affect a larger group of people,” he said. Optimization is key to efficient manufacturing, and his team has been working in one area of the shop at a time to do time studies and assess workspace. “The more efficient we are, the more trailers we can build,” he said. “It’s pretty cool to think that we can start with a flat sheet of steel and some tube and build it into this massive, customized trailer,” he said. As for a career in manufacturing, Brent is positive about the opportunities available. He knows colleagues who started on the shop floor and have gone on to become an engineering tech or even into management. He is also pleased that Trail King has implemented a welding training program which allows people who have never welded to learn on the job. Being in Mitchell has come with benefits to the Greenways’ personal life, in addition to their work. Now, the farm work that seemed all-consuming is how he chooses to spend most of his free time. When Mollie reflects on the differences and similarities of Mitchell and Langford (population around 300), she likes what she sees here.